Any work carried out at a height can be dangerous and hence a professional worker should work with precaution, especially when working on the roofs, for example. There are a large number of fatalities and serious injuries recorded in the construction industry because of lack of roof height safety. But now because of a great demand for fall protection, there are many types of equipment and services available in the market to prevent a fall. These fall protections are installed as per the guidelines provided by the government which differs across various countries. Remember, everyone involved in the construction work is responsible for preventing falls – the principal, the self-employed contractor, and subcontractor, the employer as well as the worker. And therefore, it is necessary to consider all the aspects while working safely at height. From various studies, it is found that most of the falls are from ladders and roofs and all of these accidents can be attributed to abject lack of roof height safety. To control such hazards, doing nothing is not an option; instead, there must be effective controls in place to prevent people from being harmed. You can eliminate the chances of accidental fall by doing as much preparation work as possible on the ground itself. Ensure roof height safety of the worker by isolating him/her from the risk of fall by using scaffolds and edge protection to prevent the fall. 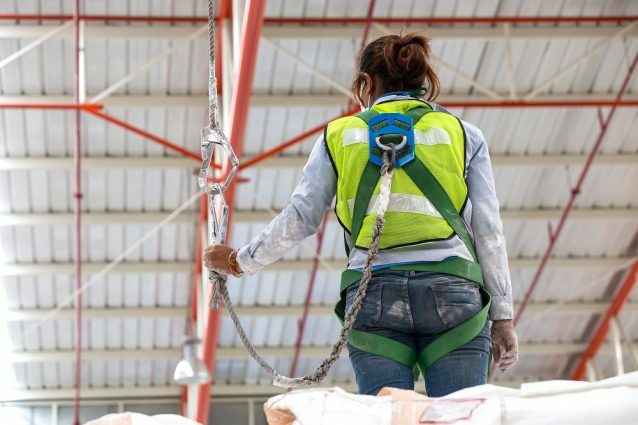 When both the above measures fail to work, the risk should be minimized by the use of fall restraint or a fall protection system such as safety nets or airbags. 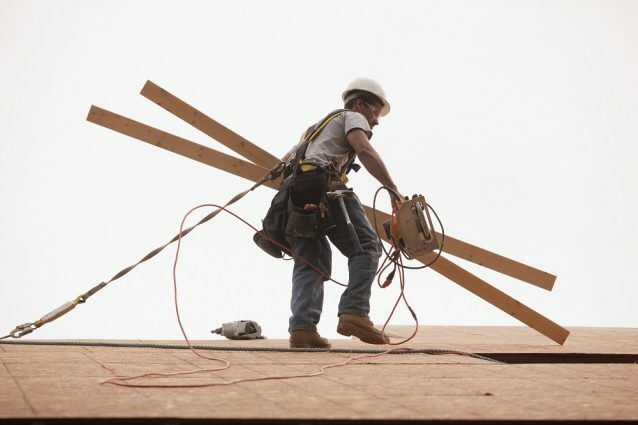 One of the much-preferred controls for roof height safety, however, is edge protection, generally used for roofs on single-storey buildings, as it isolates multiple workers from the risk of a fall. If it is not practically applicable to use then alternatives like scaffolding, mobile elevating work platforms or temporary work platforms are a more acceptable form of providing protection. Edge protection can be used on all exposed edges of the roof, which includes the perimeter of buildings, skylights, openings in the roof and fragile roof materials. This also applies to openings and edges of floor areas. Also, the openings in the roof where there is a chance for a worker to fall should be covered securely and must be designed to withstand any loads that may be applied to the cover. What Are the Ways to Eliminate the Risk Of Falling? Do most of the work on the ground. Work from indoors where is there is less possibility of fall. Complete fixtures like air conditioning units must be removed and kept at ground level. Prior to installation pre-paint the fixtures/roof. Prefabricate the components prior to installation at the ground level. Install the aerial or plant on the side of the building or on the ground. If elimination of risks is not possible, then one should try isolating the risk, by using scaffolding, mobile scaffolds, perimeter guard railing, step platform, temporary edge protection, physical barriers and total restraint system. Before installing the system for fall protection, many people wonder about the minimum height at which fall protection is required. But the answer is simple; there is no minimum height requirement. It is important to understand that hazards can happen anytime and anywhere. Just by working with dangerous equipment, workers are exposed to some risk of hazard. Therefore, it is important to provide roof height safety to workers to prevent any calamity and if possible also provide for machine protections so that there is nothing left to chance.